"On the Non-existence of Gaseous Nitrous Anhydride." – W. RAMSAY, "On some Actions of a Grove's Gas-Battery. 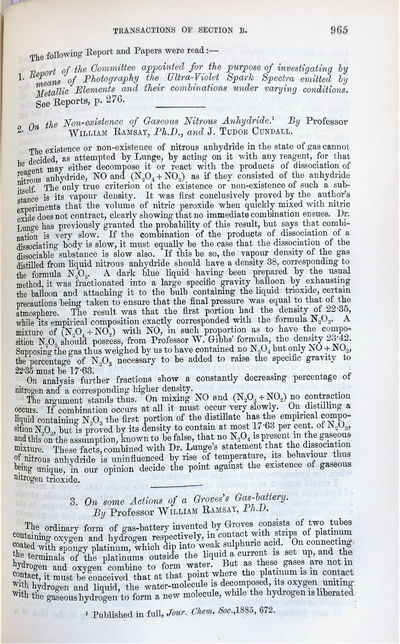 "* Within: Report of the Fifty-Fifth Meeting of the British Association for the Advancement of Science held at Aberdeen in September 1885.
by RAMSAY, William (1852-1916) & J. Tudor CUNDALL.